What are some of your favorite types of birthday themes? Oooh so so cute! I love the idea of lady bug pretzels. 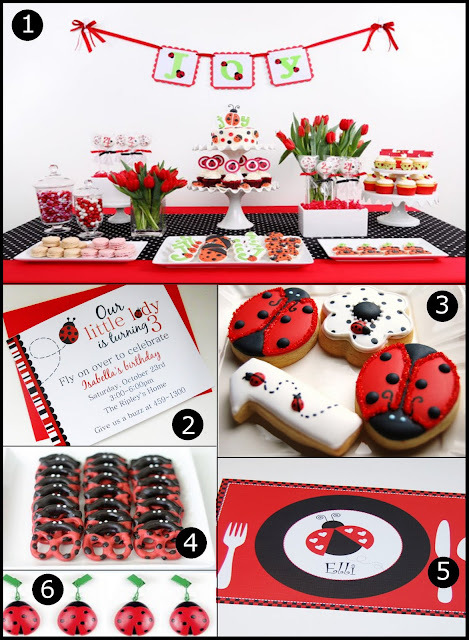 Such a cute birthday party theme!!! I especially love the invitations - "Our little lady is turning 3" - clever! Great Party Ideas! The pretzels are my favorite! If you don't have time to do all of this, you can check out this site for the best prices online, largest selection of personalization, and all in one kits!